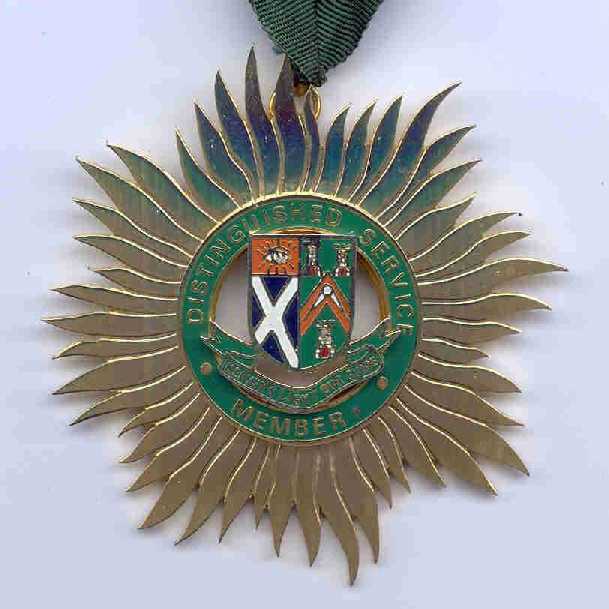 In 1951, the Grand Lodge of Scotland modified Law 131 of its Constitution and created a special honour, called "Distinguished Service Membership", to be conferred by a Lodge on a member who had given long and distinguished service to the Lodge. 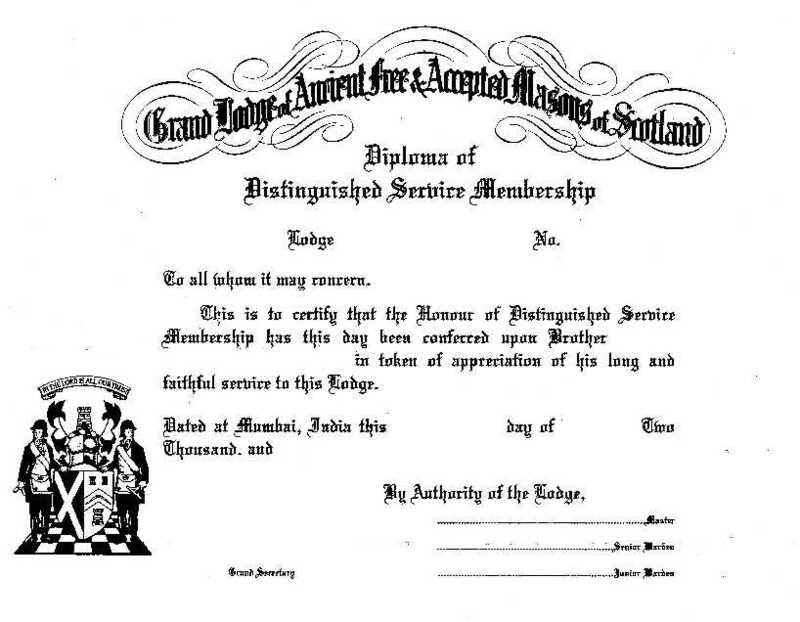 This was a way to recognise the special efforts put in by a Brother for the benefit of his Lodge. Brethren of the District Grand Lodge of India, who have been honoured by their Lodge with Distinguished Service Membership are listed below. In 1954, Bro. Shawak P. Dadachanji, the then Rt. Wor. District Grand Master instituted a special Jewel of the District Grand Lodge, which was presented to the recipient of this honour along with the Diploma of Distinguished Service Membership of the Grand Lodge of Scotland. Both the Jewel and the Diploma are displayed below. You can click on the images to get the enlarged views. 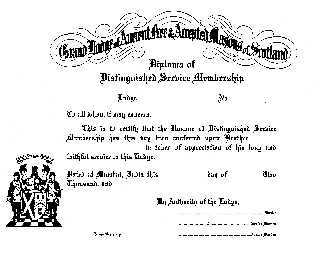 We give below a list of recepients of the coveted DSM from each Lodge within the District, along with the date on which that honour was conferred on them. Brethren who have been summoned to the Grand Lodge above are indicated with an * .